I retreat here from the typical manner of this blog to offer a bit of Wednesday linkage. Hopefully I'll have more time for original content (though Toby Jones' analysis more than suffices in this case) once I finish with some writing commitments. Among these is an interview on the subject of sectarianism that should appear soon in Jadaliyya. First, as already mentioned, Toby Jones tries to win hearts and minds in Washington with a perfectly-argued op-ed: "Obama Should Reconsider US Approach to Bahrain." Next, in an attempt to fill the obvious void of political factions in Bahrain, a new group calling itself "Bahrain Liberals" has emerged with a flashy website/blog and concerted PR campaign. (I received an unsolicited e-mail announcing the group's "vision" last night.) The writings are actually quite coherent (not to say persuasive), but so far the content seems to focus a lot on how bad al-Wifaq and 'Isa Qasim are and not so much on liberalism. A full explanation of the technique is posted on his site, but in short he applies network analysis--now all the rage in political science as elsewhere--to help understand the case of post-uprising Bahrain. 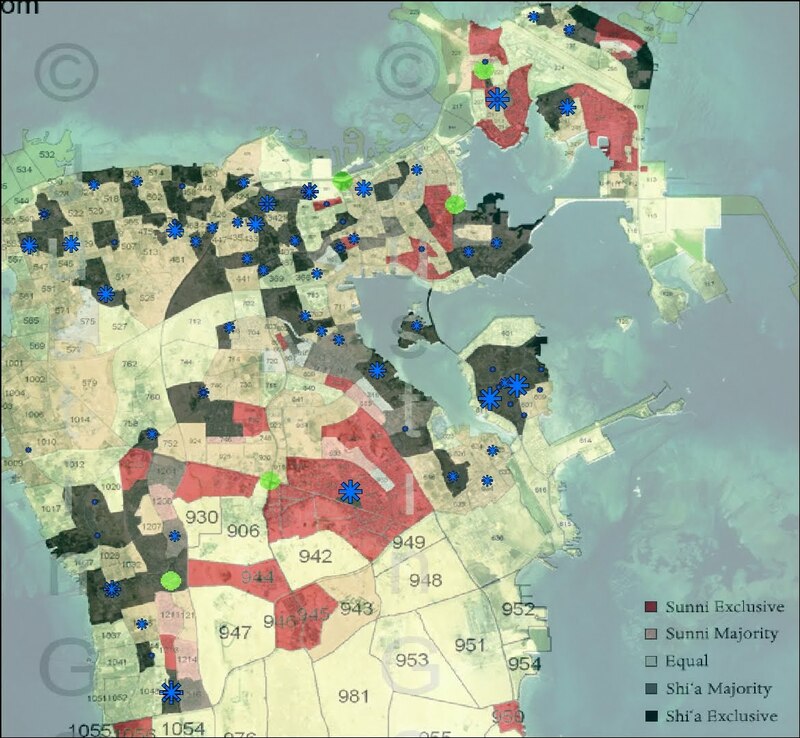 Apart from the map of local media outlets, this effort also includes maps of Bahrain's various social/political networks, including the country's Twitter community/ies as well as the Bahrain Center for Human Rights. Interesting stuff worth checking out. Update: A BCHR press release has announced that Maryam al-Khawajah will arrive in Bahrain later today in what appears to be a fait accompli. How the state reacts to her visit, which is the first since the uprising and will ostensibly involve visiting her father and others in prison, will be a good indicator of where the balance of power rests today in the country. The last high-profile activist to have escaped being forcibly silenced, conservatives in the ruling family and in society will be chomping at the bit to finish what they've started. It is shaping up to be an interesting two weeks. Update 2: The Bahrain Mirror is running a lengthy and interesting interview (in Arabic) with Emile Nakhleh complete with contemplative photograph. I am told that an English version will soon follow. Did Maryam make it into Bahrain?